Toshiba E STUDIO 1050 Details: The Toshiba e-STUDIO 1050 delivers some of the fastest print and copy speeds rated at 105 pages-per-minute. This system not only delivers documents quickly, but it also delivers them in exceptional quality. The 600 dpi scanning and 1200 dpi resolution delivers clear prints with defined pictures and text. 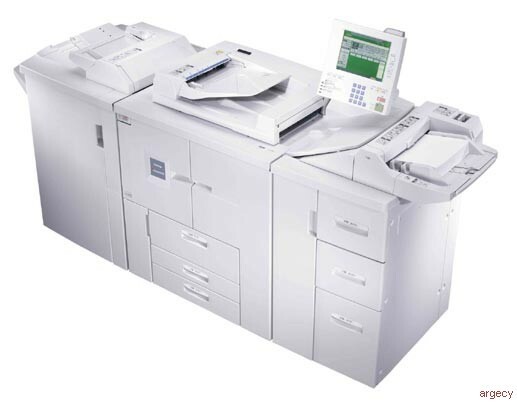 The e-STUDIO1050 starts as a copier, and can also become a scanner and printer-�if needed. The unique design of the e-STUDIO1050 can hold two toner bottles-�which means that when one runs dry the system automatically switches to the other toner bottle. Easily replace the empty toner cartridge while the system is still running. Replace toner after an estimated 55,000 pages-�with six percent page coverage. Choose between the Cost-Saving compatible e-STUDIO1050 black toner cartridge (T9000) and the genuine Toshiba brand. With the capability to hold a total of 8,050 sheets of paper and utilize up to six paper sources, the e-STUDIO1050 will be able to keep up with high-volume offices and their demands. Easily process a variety of paper sizes ranging from 5.5-�x8.5-� up to 11-�x17-�. The e-STUDIO1050 bypass tray will process specialty papers, a variety of media, and larger prints up to 12-�x18-�.